Hi! I'm thrilled that you are looking for assistance from the Angels and Spirit! It is comforting to know that you are never truly alone! Your Angels and Guides are always around you! You no longer have to feel like it's all on your shoulders and be confused about what steps you should take next! You have a whole team ready to help you through whatever you are going through! I would love to be able to help you connect with them, receive the messages from them and ask them for the specific guidance that they can give to you! I have been giving psychic readings to people for over 30 years. During a reading I use clairvoyance, combined with messages from my guides, cartomancy and/or the tarot to deliver the messages that were meant for you to hear. My readings are direct and to the point, without all the needless fluff. During a reading you are able to ask questions, look into situations of your choosing and receive guidance on how to have the situations resolve to your liking. Remember there is always free will and choice involved when you receive a reading. I believes in letting you know about the different paths that exist before you. When you have choice, you have power to shape what is to come instead of just being a victim of circumstance. Readings with Sue are different then the healing sessions and are not combined. 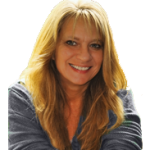 Sue has is certified and has trained in several Energy Healing Modalities that include Theta, Now Healing, Reiki, and ASH Work. You no longer need to be geographically close by in order to receive the work! Sessions can be conducted long distance and done over the phone or Skype! So what is Energy Healing ? That is a very good question. In a nutshell energy healing assists the body’s own healing ability. Shifting blocks and opening space in the energetic field can help in repairing and re-balancing that allows for the body to heal itself in ways that we can only imagine. One 2013 study found that 10 minutes of energy healing was as effective as physical therapy in improving the range of motion in people with mobility problems. UCLA even has en electromyography (EMG) lab that studies electrical activity in the body. We are not limited to physical only issues! The healing techniques that Sue uses are also useful for shifting emotional issues, (stress and anxiety included) situations that are occurring around you, dealing with ‘troublesome’ people in your world, to name but a few and let’s not forget that the animals LOVE being the recipients! Healing Sessions are half an hour long for either you or your animal friends! Please note that Sue is NOT a medical intuitive and will not diagnose, discuss causes of, or second guess your medical professional for any physical issues that you may be experiencing. The healing sessions are complimentary and are not to replace any medical care that you are (or will be) receiving. If you would like a healing session, email her prior to purchase to discuss a plan of action. Feel free to visit my site at www.suefellows.com for more info on the different sessions offered. Spoke with Sue weeks ago and the conversation remains with me. I enjoyed the honesty the Sue provided as it was exactly what I needed. I look forward to more interactions and honesty.